Warm congratulations to all Chelsea supporters for their support in a season that exceeded many of our expectations in winning the League for the 6th time, tinged with disappointment at failing to do the ‘Double’ by losing the FA Cup final to Arsenal. For many it has been a season to remember and somewhat better than last season, to say the least. Thanks must go to Antonio Conte and the players for the entertainment they have given us this season and for the hope of more success and trophies to come. The Board would also like to say thank you and farewell to John Terry who took his final bow at the end of this season. His has been a remarkable career the like of which we are unlikely to see again. JT, thanks for the memories and for the support you have given to the Trust and many Chelsea supporters. Welcome to our first Newsletter of the Year, and indeed our first one for far too long, for which I owe you a huge apology. As a result this might be a longer newsletter than usual as we have a lot to catch up on. I promise to keep them a little briefer in the future! A short newsletter to briefly interrupt your summer break from all things Chelsea. A reminder that the annual survey responses need to be submitted by end Sunday June 12th. The survey results do matter, as they drive CST strategy for the next twelve months and are also discussed in a face-to-face meeting with senior club executives. Your individual link was e-mailed to you on May 16th so if you have not yet responded, please take the fifteen or so minutes required to complete it, your views do matter. The CST AGM will be held on the first weekend of the new season, on August 13th or 14th depending on the fixtures. The AGM notice, together with details on how to stand for the CST board, will be issued to voting CST members in late June. If you are considering standing for election to the Board and want to know more about what being a board member entails, feel free to get in touch with individual Board members or via membership@chelseasupporterstrust.com for some informal advice. We are pleased to announce that following the CST’s first volunteer day at Brompton cemetery back in March, our next date will be Saturday July 2nd at 11.00am. Once again we hope that some of our members can spare a few hours to help clear some of the overgrown areas around Chelsea FC related graves. We also plan to spruce up the grave belonging to CFC’s founding father, Gus Mears. It was a very enjoyable and satisfying day in March and we hope the one in July will be as rewarding. It would be fair to say it has been a busy month for the CST, both at a Chelsea level and on wider issues. The topic of ticket pricing for Premier League was successfully highlighted by the 10,000 Liverpool supporters who left Anfield after 77 minutes. This achieved widespread publicity and succeeded in placing Premier League ticket prices firmly on the news agenda and creating a healthy head of steam. The fact that Liverpool subsequently climbed down and froze prices shows what supporter activism can achieve. Representatives from the CST have met with senior club executives to discuss ticket prices and we published a statement on the issue last week. We are in dialogue with other trusts as well as the Football Supporters Federation with regard to identifying tactics for a concerted campaign and will have representation at a meeting to be held shortly, which will have representatives from a number of PL trusts, to discuss goals, tactics and next steps. We will keep you posted regarding developments. Coincidentally, the Trust has been contacted by a research student at Loughborough University who is working on a project to ascertain maximum price supporters would be willing to pay to watch Premier League games. You can make your views known by filling his questionnaire out here. Further to the item in the January newsletter, it is pleasing to be able to report that the CST will be invited to pre-meetings in advance of future Safety Advisory Groups (SAG’s), and also to post-meeting briefings. We will also get sight of the agenda in advance and have been advised that any safety or security issues we raise in advance will be covered at the meeting. SAG meetings take place twice yearly and include attendees from Hammersmith & Fulham Council, Chelsea FC, Metropolitan Police, British Transport Police, Fire Brigade etc. It has always seemed anomalous that there was no supporter input and, though in time we would hope to have representation at the meeting itself, this is undoubtedly progress. The next meeting is scheduled for July and, in good time for that meeting, we will be asking supporters for issues they would like us to raise. The CST board is very pleased to announce that in conjunction with The Friends of Brompton Cemetery and The Royal Parks we will hold our first volunteers day to assist with the cemetery “tidy up” and grave tending, on Saturday March 26th at 11.00am. There are a number of graves closely associated with Chelsea FC and several of these are inaccessible due to overgrowth. Chelsea Football Club has kindly agreed to provide us with any tools and safety gloves we might need. There are already a number of people who have expressed an interest in helping us on the day and we hope this will be the first of many such events. Further details will be released to members nearer the time but if you are interested in coming along please email enquiries@chelseasupporterstrust.com using the subject header ‘Brompton Cemetery’. The CPO AGM, held at Stamford Bridge on 29th January, was attended by a fair number of CST members, with total attendance around 150. It was a fascinating meeting. It was clear that the vast majority of those present were implacably opposed to any attempt by the club, or the owner, to buy back the freehold to Stamford Bridge. Of course it is unclear whether any such attempt will be made, but it is clear that if an attempt is made, there will be widespread opposition. One to watch in the months ahead, though any move to acquire the freehold is unlikely to happen until planning permission is granted. The CPO Chairman’s statement, by Charles Rose, and the results of the AGM resolutions, can be found here. We strongly recommend CST members purchase a CPO share – details on how to do so can be found at the same link. We hope all members who travelled to Paris had a safe and enjoyable trip. Representations were made to the club with regard to the inconvenient location of the ticket collection point in Paris and the wristband process. We will be pursuing the excessive ticket prices charged to Chelsea supporters with UEFA. We will also be raising with them other problems experienced by supporters including the queuing problems in the Metro station after the game, which also occurred in previous years. If you had any specific issues or problems out there, please let us know via enquiries@chelseasupporterstrust.com, using the subject heading ‘PSG’, and we will take them up as appropriate. We are having severe problems identifying a suitable location for our next SGM. Members will be notified as soon as we have a date and location. FA Cup Final should get an extra 3,500 tickets, which is clearly good news. A CST representative, together with reps from Arsenal, Spurs and Liverpool trusts, saw FA executives on a range of issues including final ticket allocations a couple of years ago and it is very pleasing that this issue has been successfully taken forward. You can read about this here. The next Chelsea Fans Forum is on 20th April. 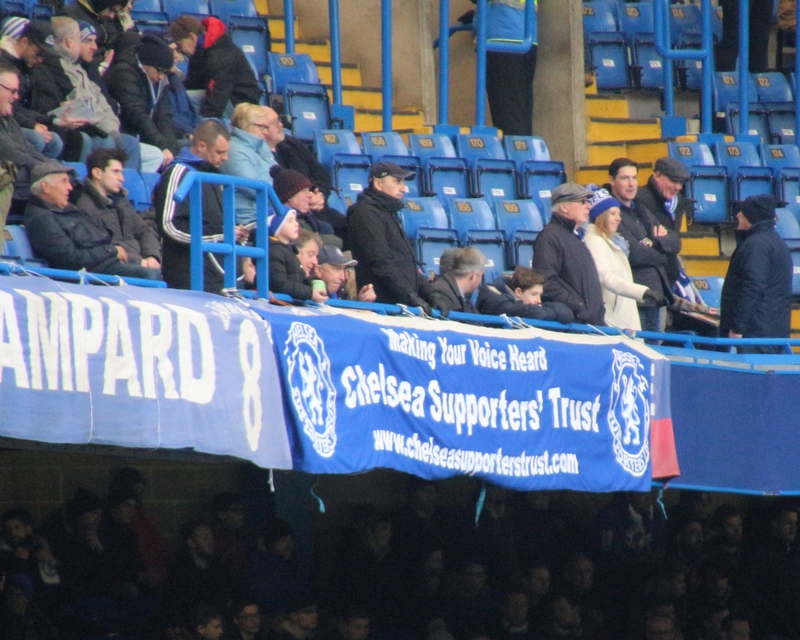 If you have any issues you would like raised by the Trust rep, Debbie Coady, please let us know at email address: enquiries@chelseasupporterstrust.com, using the subject heading ‘Fans Forum’. The Club has announced a public competition to design the main gates for the new stadium. Details can be found here. Welcome to the first CST newsletter of 2016 and a Happy New Year to all our members. It has been an interesting month Chelsea-wise since the last newsletter, to put it mildly. Hopefully the New Year will coincide with an uplift in form, and decent runs in the two cup competitions. In terms of CST business, there are a few key issues we would like to bring to your attention and/or remind you of. Many CST members are also CPO shareholders so a reminder that the CPO Annual General Meeting is at 11.00 on Friday 29th January in the Drake Suite, Stamford Bridge. We would actively encourage as many members who are shareholders as possible to attend the meeting. A reminder that those attending the meeting need to take photo ID (e.g. passport or driving licence) with them. Agendas were sent out by CPO to shareholders a couple of weeks ago. If you are a shareholder but unable to attend, you can vote electronically or use a proxy, details of these options are contained in the agenda mail-out. CST own one CPO share. At our latest Board Meeting on Saturday 16th January, the CST board decided how to cast our vote on behalf of our membership on each of the eleven resolutions in conformance with the CPO resolution passed at the last CST AGM. A number of CST board members are aiming to attend the meeting. 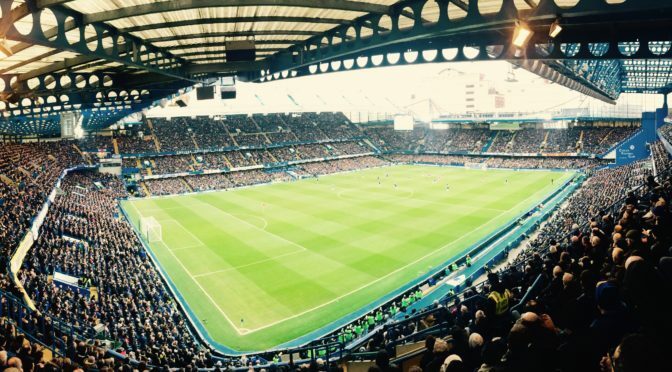 Chelsea Pitch Owners is a unique protection for Chelsea supporters, and it was made clear in the result of the relevant motion at this year’s AGM that the majority of our members want to see it remain, regardless of the Stamford Bridge’s redevelopment. We would again encourage members who are not CPO shareholders to actively consider purchasing one. Details on how to purchase shares are shown here. We will be submitting a number of questions to the CPO board in advance of the AGM. If you have any questions you would like us to ask on your behalf, please e-mail them to enquiries@chelseasupporterstrust.com by Monday 25th January. Alternatively, send them directly to Chelsea Pitch Owners. Fulham, QPR and Chelsea. This was to discuss greater supporter involvement in the three Safety Advisory Groups, which meet twice-yearly and currently have representatives from the clubs, Hammersmith and Fulham council, Metropolitan Police, BTP, emergency services etc but not supporters. Issues of safety and security clearly directly impact supporters, and it is clearly anomalous that they have no voice. 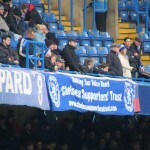 A motion at this year’s CST AGM was passed in favour of us pushing to get a supporter representative at the Chelsea SAG. It was a productive discussion and the council officers understood the benefits from greater supporter dialogue and receiving direct supporter feedback. The issue of greater supporter input is being discussed at the next SAG at the end of January, and it is hoped that direct supporter input to future SAG meetings will result. 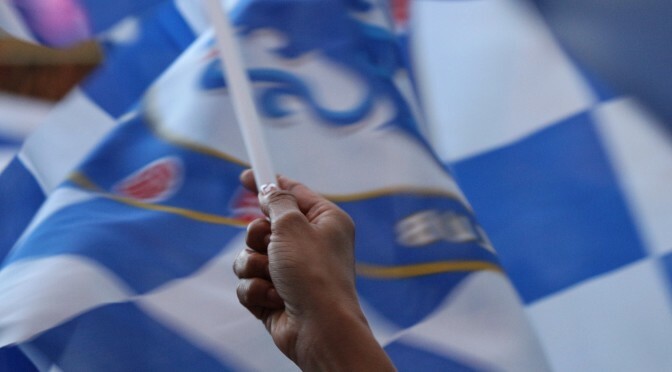 As an interim measure, they are keen to receive feedback on any security or safety issue relating to Chelsea which supporters would like to give. If there are specific comments on issues like touting, stewarding, policing, ground safety, queues at Fulham Broadway etc that you would like to make, please send them to enquiries@chelseasupporterstrust.com by Monday 25th January. We will collate them and forward them for consideration at the SAG. Representatives from the CST will be attending a meeting of Premier League Supporters Trusts hosted by Supporters Direct next week, where one agenda item will be the contents of the report and the response to it. Feedback from this meeting will be given in the next CST newsletter. Jack Whitley Gravestone Jack Whitley was a Chelsea goalkeeper before World War One, playing 127 games between 1907 and 1914. He was also a member of the club backroom staff, including roles as coach and trainer, right up to 1939. Having given 30 years to the club, Jack died just a few months after our league championship triumph in 1955 and although he passed away in Hertfordshire, he specifically asked to be laid to rest within earshot of Stamford Bridge. Chelsea historian Rick Glanvill recently discovered Jack lies in an unmarked grave at the north end of Brompton Cemetery. Rick feels, as do the CST board, that it would be great to give Jack a gravestone that properly reflects and marks his lengthy service to Chelsea. To this end, we are planning to track down his relatives or next of kin, then organise an online ‘crowd-funding’ fundraising campaign designed to erect a fitting memorial. We will advise once the online fundraising page has been set up. In conjunction with Royal Parks and Friends of Brompton Cemetery, we are also planning to help clean up Chelsea-related graves by volunteering a few hours’ basic gardening/cleaning. Brompton Cemetery is the resting place for a number of Chelsea figures from the past and we are keen to help keep the cemetery tidy and in good shape. We are aiming to do this once the weather improves, and would welcome help from CST members. We will give more information in the February newsletter. The details regarding ticket collection for the Paris St Germain away game on 16th February have been published by the club . Whilst respecting the impact of the recent terrorist attacks in Paris, we have concerns about aspects of this announced process and are in contact with the club on the matter. The date of the next SGM will be announced once the March TV fixtures are announced so we can firm up the room booking. Advance train ticket alerts from thetrainline.com.